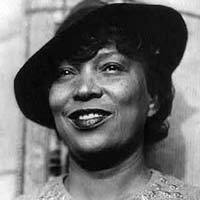 Zora was born on January 7th, 1891 in Alabama, United States. Hurston was the 5th child of John Hurston and his wife Lucy. Mr. Hurston was a preacher, a carpenter and a tenant farmer while her mom was school teacher. Her family later moved to Eatonville, Florida when she was 3 years old. Her father became the mayor of this town. In 1901, some northern school teachers visited the town and gave Zora a few books; this opened her to literature. Zora spent the rest of her childhood years in Eatonville. She described growing up in the town of Eatonville as a happy and easy experience. In 1904, Zora’s mother died and shortly after her father remarried. She was sent away to a boarding school in Florida. However, her parents stopped paying for her tuition and she had to quit school. After school, she worked as maid and in 1917, she started attending Morgan Academy. She graduated in 1918. In 1918, Zora Neale Hurston began her undergraduate studies at Howard University. Here, Zora was part of the early initiates of the Zeta Phi Beta sorority and she also co-founded The Hilltop newspaper. She studied English, Spanish, Greek and also public speaking. She earned an Associate’s Degree in 1920. She wrote a short story called John Redding Goes to Sea in 1921. Zora left Howard in the year 1924 and the following year she was offered scholarship to attend Barnard College at Columbia University. Here, Zora was the college’s sole black student. She received her Bachelor of Arts in anthropology in 1927 at the age of 36. While studying in Barnard, Zora conducted ethnographic research. After graduating, she spent 2 years as graduate student in anthropology at Columbia University. In 1927, Zora got married to Herbert Sheen but this marriage soon ended in 1931. In 1939, she married Albert Prince but the marriage also ended. In addition to her literary career, she also served on faculty of North College for Negroes. In 1934, she established a school of dramatics at Bethune-Cookman University. Zora traveled extensively in the Caribbean and South America. She got involved in the local cultural practices in order to conduct anthropological research. Her work was sponsored by Charlotte Mason between 1928 and 1932. Between 1936 and 1937, Zora traveled to Haiti and Jamaica with the support of Guggenheim Foundation. From this, her anthropological work, Tell My Horse emerged. By the mid 1930’s, Zora had published a few short stories. Her first 3 novels were published in 1930’s. They were: Jonah’s Gourd Vine, in 1934, Their Eyes Were Watching God in 1937 and Moses, Man of the Mountain in 1939. Her last novel called Seraph on the Suwanee was published in 1948. Zora Neale Hurston spent the last decade of her life working as freelance writer for different magazines and newspapers. She suffered a period of medical and financial difficulties. This forced her to enter the St. Lucie Country Welfare Home where Zora suffered a stroke. Zora later died of heart disease on January 28th, 1968.